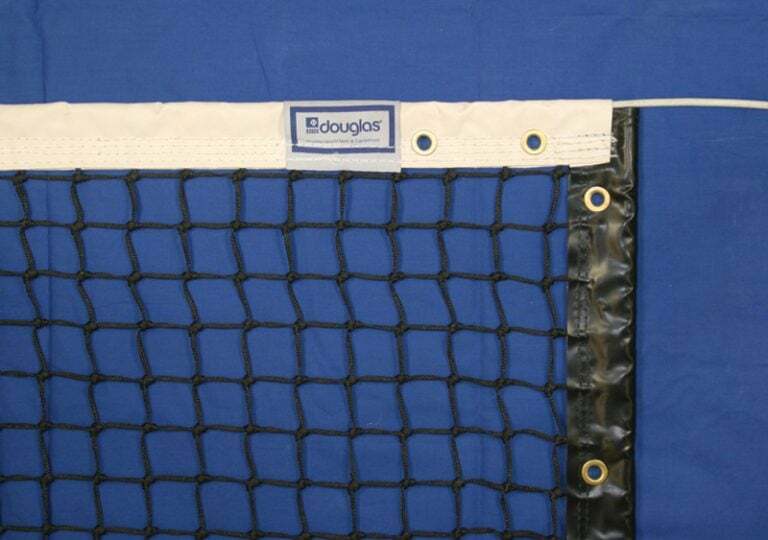 The Douglas® PLTN-28 is made specifically for platform tennis measuring 23′ high and 3′ long. 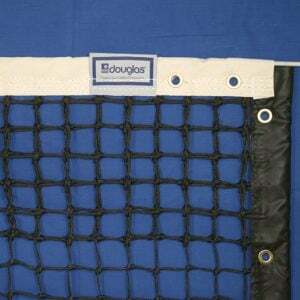 Net is constructed of 1-3/4” square mesh, 3.0 mm braided polyethylene. 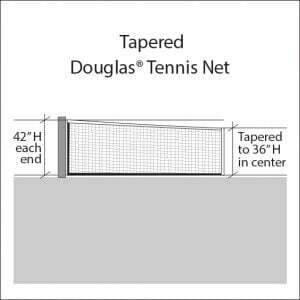 Material is weather resistant and unsurpassed for durability boasting a 285 lb break strength. Headbands are made of vinyl coated polyester and have been lock-sewn with four rows of #32 white polyester thread. Vinyl bottom tape and side pockets are polyester based and won’t shrink, mildew or rot when exposed to the elements. 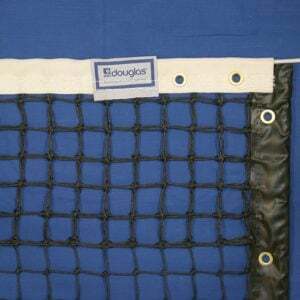 Bottom and side tapes are double lock-stitched with black polyester thread. 4 Year Warranty. Please contact me with more information about: "PLTN- 28 Platform Tennis Net, 3' x 23'".